New trend is emerging in Irish countryside... 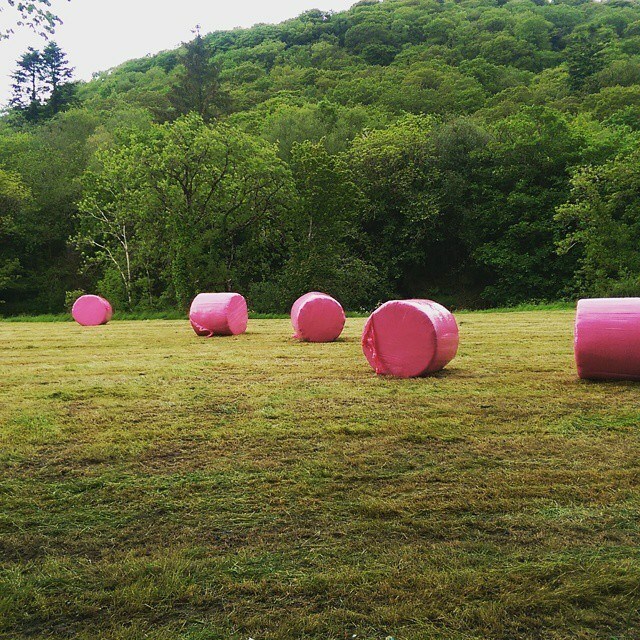 Farmers are wrapping hay bales in eye-catching pink plastic in aid of breast cancer research. Photo taken in Ballymakeera, Co. Cork. Fabrics are at the heart of everything we do. Here's where we'll share our thoughts, tips, ideas, imagination & inspiration with you. Call in for a visit...there's always a hot cup of coffee on the brew. Ooodles of Fab Offers. Comes out monthly. It's worth it. We Promise. Why Choose a Designer Paint? No home renovation project can be without a touch of paint. We might decide to keep the same furniture, carpet or curtains, but when it comes to refreshing our home it most definitely entails freshly painted walls. So I think it’s time to talk all things paint! Most of us recognize that the least expensive way to give our home a makeover is to paint it. To pick a new colour isn’t that difficult these days as there are so many companies offering digital and manual tools to help us. Go to any DIY shop and you will be overwhelmed by the choice and inspired. So why pick a designer paint and pay more when you can pay less? Inspired by Decorex and Focus London. Find out what are the latest trends for cushions and how you can make them personal.